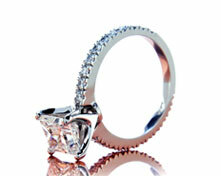 Everything about my ring is superior --- the prongs, the bezel, the proportions, and the finish....is perfection. Perfect as a wedding or anniversary band, select a style from our famous collection of custom diamond eternity bands which are all set with Brian Gavin Signature melee. Browse our collection of classic wedding bands. 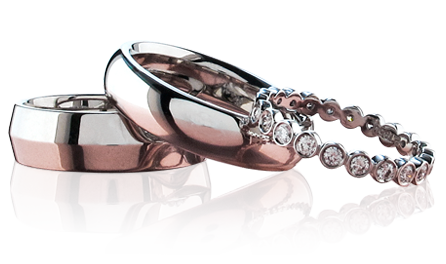 Let us help you to select wedding bands for one of the most important and memorable days of your lives. 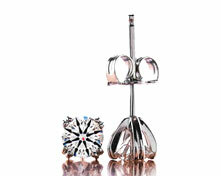 The wedding band is one of most recognizable symbols of the union of two people in marriage. Its history reaches back to fertile flood plains of the Nile River in North Africa. The Egyptians considered the Nile the source of all life, and from the reeds and rushes that grew along its banks, they fashioned the first wedding rings. The ring’s circle symbolized eternity with no beginning and no end. The hole in the center represented a doorway leading to an unknown but shared future - faced together with love. The Egyptians wore the ring on the third finger of the left hand, like today. They believed a physical and spiritual link existed between that finger and the heart. Centuries later wedding and anniversary rings still contain the power and emotion of these ancient symbols and the hope and dreams they communicate. Today’s wedding rings are no longer just the traditional band of gold. They vary in both design and materials, all the better to express the individual emotions of love for each bride and groom. There are no hard and fast rules. There are classic band designs with polished, satin and brushed finishes, flat, round and patterned, and set with diamonds or other precious stones with design names like milgrain, half-moon, the nightingale or open basket. They’re available in gold, silver and platinum or blends. You can choose diamond eternity wedding bands in designs like our sapphire and diamond bezel, the marquise and round band, scattered diamond bands, bead-set eternity bands, micro pave band, precision single-prong eternity bands, precision-diamond eternity bands, open gallery 5 stone diamond rings and bands, half-eternity bezel bands, seven-stone shared prong diamond bands, seven stone bar set diamond bands, and classic 5 stone u-prong diamond ring settings and bands.